Trevor came out for the biyearly check of my water conditioner and RO system. Enjoyed seeing him again. He was efficient, shared some new information he had learned through training, and declared my system working well. Thank you for your knowledge and expertise. Trevor came by today to troubleshoot a problem. He was very professional and identified our problem quickly. Our problem was a leaky ice maker water supply tube. It was unrelated to our Kinetico system, but Trevor fixed it and my system is making water again. Thanks Trevor! This company is the best!! Just so impressed with everything !! Thank you for all you do for your customers! Trevor was professional, very helpful, thorough in troubleshooting the issue and very cordial! Thank you for such an awesome experience in providing the best customer service ever! Really can’t say enough about this company in comparison to any other companies now days. Totally impressed with all employees at Aquarious that we have dealt with!! Brent provided all pricing details up front, and was very respectful and helpful. He diagnosed our furnace issue quickly, and swapped in new parts expertly. We appreciated his late-night help. Brent did an outstanding job! He came at 10:45 p.m. on a Saturday night. Quickly diagnosed our furnace issue and had it back up and running in less than an hour. Very professional, and good communicator. Trevor is a real gentleman. Brought his own door mat, took his slippers off at the door. He replaced parts and explained everything to me in detail what was what. He done an excellent job !! I'd be proud to call him son !! Thank you !!! Top-notch company. Superb customer service. Installer Jason G. was outstanding, and a wealth of knowledge. I truly believe you get what you pay for, and a Kinetico water treatment system is is a great example of this. Trevor arrived promptly on his appointed time, and was very thorough in finding out what the problem was. Yes, it cost me a bit more than we had expected, but he was more than fair and was quickly able to fix and replace the malfunctioning parts. I am very pleased with them and would recommend them to anyone who needs help with their water needs. 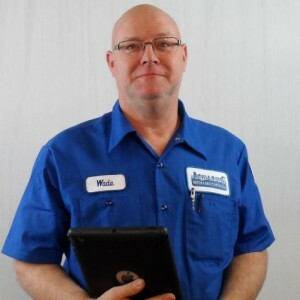 Always very professional...extremely well informed and excellent at his performance when servicing our home! Trevor was helpful and efficient. Too early to rate the water yet because it was literally just installed. 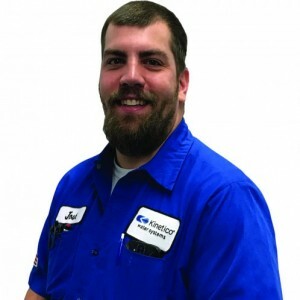 Jason G is a very honest and straight forward technician/salesman. He sold himself as far as personality and knowledge of the product. He was not pushy at all. We were very impressed by the whole experience. Trevor was phenomenal. He was kind and quick with repairing our faucet. He even checked the rest of our systems and found that they weren’t working quite as they should. He fixed it right away and was able to explain what happened. Jason G was very personable and knowledgeable about his products.He went over and above explaining things to us. GREAT SALESMAN & CUSTOMER SERVICE. We look forward to doing business with him in the future. Josh C has a 5-Star rating and leads the company in total reviews, making this pro a ReviewBuzz Rockstar! These guys did a great job on the install, answered all my questions and left no mess. GOOD JOB. Josh and Josh were very professional and pleasant and arrived right on time. They laid out my options and were able to save me money. They were respectful and informative. I was very favorably impressed. Josh was very friendly, helpful, & knowledgeable. Very pleased with the water softener and service we have received over the years!! We have had Kinetico in our home for yours and are very pleased with the product and the company. Everyone has always been friendly, courteous, knowledgeable and helpful when needed. We have sold our home, so the time has come to say good bye, but the new owners plan to keep your service!! Thank you Aquarius / Kinetico!! 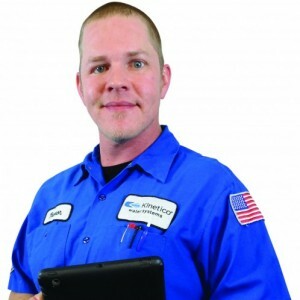 Easy scheduling for service, professionally attired service technician, and knowledgeable. I'm very pleased with the diagnosis of an old water system and pleased with the new water system. Josh is very courteous and knowledgeable. He installed a whole new system as estimated and as promised. He worked very hard to make sure the job was done right and that I understood how the system works. Very professional! The pump on our Kinetico system burned out and the new pump to replace it wouldn't stop running. Josh worked on it for a few hours and tried various options, and eventually decided to take apart the entire system and start fresh. He discovered it was initially installed incorrectly (which was probably why the pump burned out in the first place) and got us up and running. We so appreciated his effort to stick with a complicated situation until it got resolved. The system works great now, better than before! Josh was GREAT, arrived on time, had excellent ideas on the installation and was very through on explaining the system and maintenance, overall a great experience. I have never had a problem with my Kinetico services. This time Josh was here and he was on time, very nice and did a good job. Josh was amazing!!! 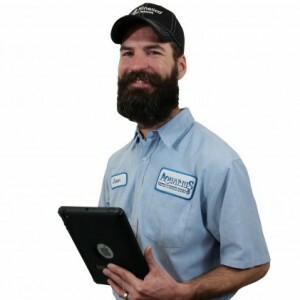 He called when he was on the way (which I always appreciate) and went above and beyond when servicing both of my water treatment systems. He listened to my concerns, went straight to work, and in no time he diagnosed and corrected the issues. On top of that, he was very thorough when working on my drinking water system and discovered I had loose and leaking pipes under my kitchen sink. Before I knew it he had tightened everything up and tested them several more times to make sure they were tightly sealed!! He explained everything he had done and the how the systems work and encouraged me to call if I have any questions or concerns. This was my first service call and it couldn’t have gone any better - thank you Josh! It was a pleasure working with Josh when he visited recently to service our water conditioning system. He was pleasant, plainly knowledgeable about our set-up and happy to answer all of our many questions. Thanks Josh! I had a problem with my Reverse Osmosis System and Josh spent a lot of time trying to fix it until they determined that it was no longer fixable. He was very tenacious and tried to find a way to fix the problem without having to install a new system. He kept me updated at every step and offered suggestions and helpful information. I decided to just remove that portion of my system and rely on the rest of the system to provide me with the quality drinking water that I have come to enjoy. 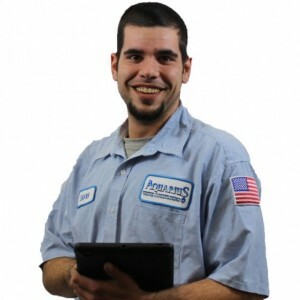 He is always very helpful, very courteous and very professional whenever he does my quarterly maintenance plan.